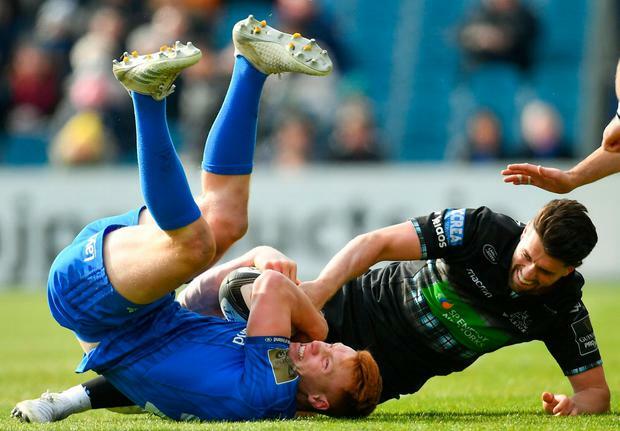 A draw followed by a defeat is not exactly the ideal preparation leading into a mouthwatering Champions Cup semi-final with Toulouse on Sunday, yet Leinster are realistic about where they are coming from. 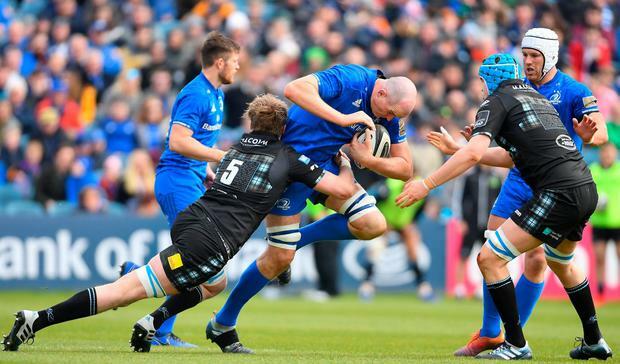 When Will Connors came off the bench during Saturday's loss to Glasgow Warriors, he became the 56th player that the double champions have used this season. 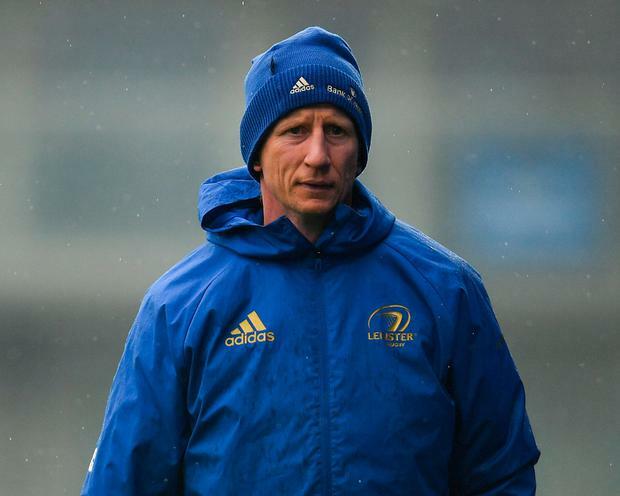 Rotating his squad in such a manner is certainly a luxury for Leo Cullen, but it also brings about its challenges in terms of building cohesion and the challenge for the head coach this week is to strike a balance between the returning internationals and those who have been knocking on the door. Having come off the bench to briefly help turn the game in his side's favour, Tadhg Furlong hobbled off the pitch with a knee injury. Cullen admitted afterwards that Furlong wanted to play on, but the decision was taken out of his hands as a precautionary measure. Robbie Henshaw got through almost an hour of industrious work, while Devin Toner impressed on his first appearance since Ireland's Six Nations defeat to England. Amidst the disappointment of being overturned on their home turf, there were positives for Cullen, but he warned that an altogether different challenge lies ahead against Toulouse. "We obviously saw the game in Paris (against Racing 92) and the attitude that they have - they're a very tight group," he maintained. "You see some of the images, even as far back as when they won the game against Bath away, which is a game they could easily have lost, bar there was that dropped ball incident over the try line. Since then it is almost like they have really rallied. "They had a couple of suspensions after that game and still were able to field a few young guys against us over there and come away with a win. You can see what it means to the club. It's huge for them. "They are still playing that traditional Toulouse game, which is trying to keep the ball off the ground and keep it alive. "They have some very dangerous backs with a lot of speed and some very big forwards who are comfortable handling the ball as well. "It's a dangerous mix. We were mixed on how we managed it over there. They had a lot of momentum that we couldn't quite stifle. "The game here, we were able to control a little bit better, but we got a glimpse right at the end of the game when (Cheslin) Kolbe made that break and score. They are so dangerous so we won't be able to shut off for a second against them." 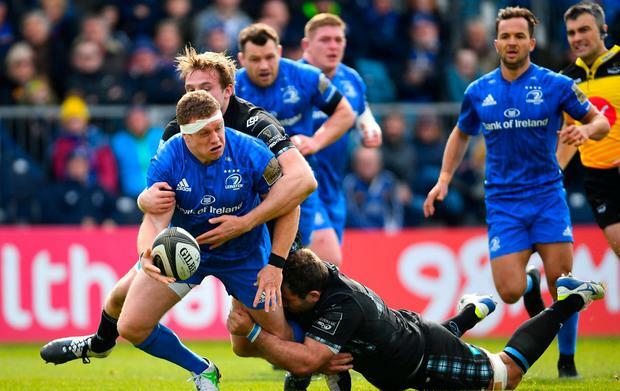 Leinster - R Kearney (A Byrne 62); J Larmour, J Tomane, R Henshaw (C Frawley 59), D Kearney; R Byrne, J Gibson-Park (H O'Sullivan 64); E Byrne (C Healy h/t), J Tracy (S Cronin h/t), M Bent (T Furlong h/t-64); D Toner, J Dunne (W Connors 74); J Murphy, S O'Brien (capt) (M Deegan 59), C Doris. Glasgow Warriors - S Hogg; T Seymour, K Steyn, S Johnson (P Horne 20), N Matawalu (H Jones 66); A Hastings, A Price (G Horne 66); J Bhatti (A Allan 62), F Brown (G Stewart 75), Z Faerson; S Cummings, J Gray; R Harley, C Fusaro (capt) (A Ashe 2) (B Flockhart 62), M Fagerson.